Here are some of the guns - and grenades! - that the TSA has discovered in carry-on bags. Here's a holiday travel tip for you: Don't try to board an airplane with a gun in your carry-on. If that sounds like a ridiculously obvious piece of advice, then think again. It wasn't so obvious to the 1,931 travelers who were caught this year (through Nov. 17) trying to board planes with guns in their carry-ons. That's a record, according to the Transportation Security Administration. It's been steadily climbing, year after year. This year's tally through mid-November already surpasses last year's total of 1,813, which was the prior record. The busiest travel days of 2014 haven't even taken place yet. 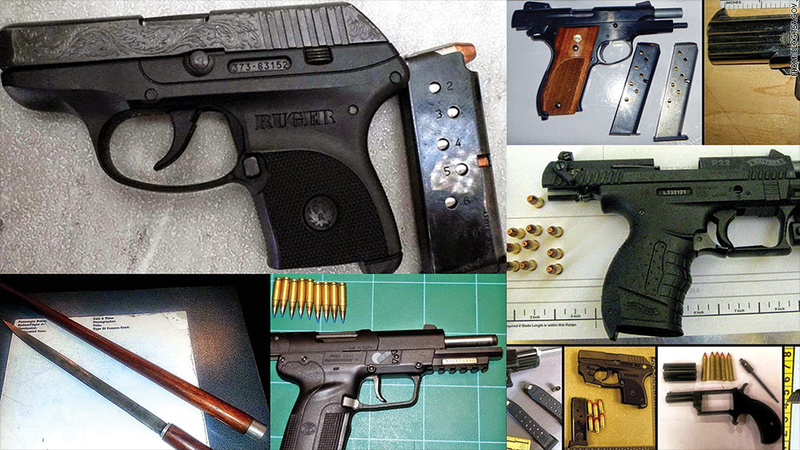 During a recent week in which the TSA discovered 35 guns, 29 were loaded, including seven with chambered rounds. 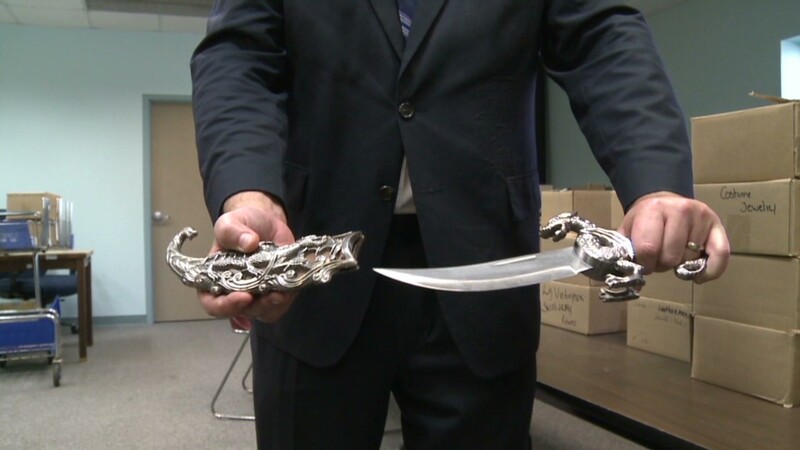 Related: What is the TSA doing with your confiscated swords? This raises the question of why so many people try to board planes with guns. In most states people have the legal option of packing their guns in checked luggage, so long as they're unloaded, properly stored and declared to the officials. "Some people just aren't using common sense," said George Hobica, founder of the travel advice web site Airfarewatchdog.com. "What's really scary is that eventually some of these will get by TSA and misused." Besides guns, people try to bring in other weapons on board too. The TSA has also confiscated cane swords and a live grenade, and a few dummy grenades, as well. In a recent one-week period, the TSA discovered 14 stun guns in carry-on bags. Some people still try to board with box cutters, one of the weapons of the September 11 terrorists. TSA spokesman Ross Feinstein said the "vast majority" of travelers with guns in their carry-ons claim that they "forgot" about the guns when they went to the airport. Feinstein said the gun-toting travelers are subject to criminal penalties, and are referred to local law enforcement. The TSA also imposes civil penalties, such as fines ranging from $1,500 to $11,000. But in some cases, local cops will return the guns to the owners, if they're deemed to be legal and the passenger decides to not continue through security. They just can't bring the guns on the planes. The TSA web site provides an extensive list of items prohibited from carry-on bags, including sabers and scissors, cricket bats and cattle prods, ski poles and golf clubs. The TSA also prohibits martial arts weapons, specifically mentioning the kubaton, a small and inconspicuous bludgeon that doubles as a key chain. Feinstein said there's been a recent uptick in credit card knives, which are folding knives that resemble credit cards and can be concealed in wallets.